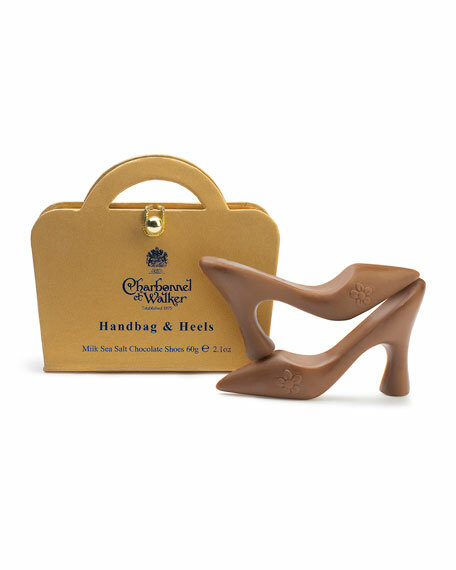 Includes Milk Chocolate Shoes (pink); Dark Chocolate Shoes (purple); Milk Sea Salt Caramel Shoes (gold). 4.1"W x 1.8"D x 3.6"T.
Allergen Information: Contains milk and soy. May also contain traces of tree nuts. For in-store inquiries, use sku #2372932.